1 image. 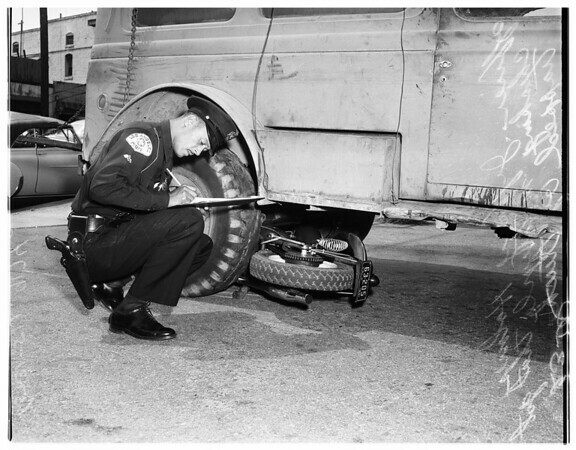 Accident -- truck motorcycle at 29th and South San Pedro, May 31, 1951. Jeffery Holmes (officer).